The ALCOLOCK promise of high quality and best-in-class service extends beyond our ignition interlock devices and customer service. Where some are satisfied with offering a single device and reselling existing products, we’re not. Instead, we have chosen to immerse ourselves in the industry, developing a wide range of our own products and services. Over the years, we’ve quickly risen through the ranks to become recognized experts in our field. We’ve kept that reputation by developing best-in-class offerings that span a wide range of products, from lab equipment to devices that aid program facilitators, to the devices and tools the driver will need to complete their program. The Dry Gas Kit is one of the quality products we offer to help make the road to license reinstatement easier for everyone involved. The dry gas kit allows you to efficiently calibrate your breathalyzer or ignition interlock device to help ensure that your devices are in compliance at all times. Calibration is part of the regular upkeep of any breath testing device or ignition interlock device and is required by law for those enrolled in ignition interlock programs. You can use our gas calibration kit right in your home to calibrate your device when it’s convenient for you. When using the dry gas kit, it’s important to follow all the instructions and store it in a safe place to ensure its accuracy and longevity. Our dry gas kit comes in two standard concentrations for your convenience. You may request custom concentrations, as well. The two standard concentrations we offer are 130 PPM and 260 PPM. Your dry gas calibration kit comes with the following items. 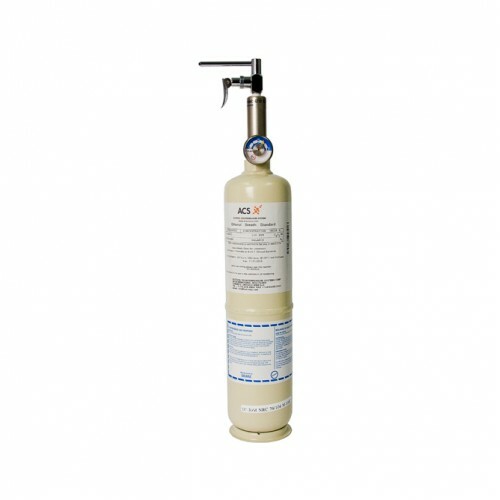 ALCOLOCK’s Dry Gas Kit is just one of the many high-quality products and services we offer. Are you a driver looking for ways to more efficiently complete your program? Maybe you’re a service provider seeking to expand upon your existing line of product offerings to better serve your client base. No matter who you are, if you’re involved in the license reinstatement and ignition interlock process, we have many options that can help you reach your goals. Check out our shop for more outstanding products and services developed to help you succeed. Compatible with various breathalyzers and ignition interlock devices.